Did you hear? Pastels are back in this season. 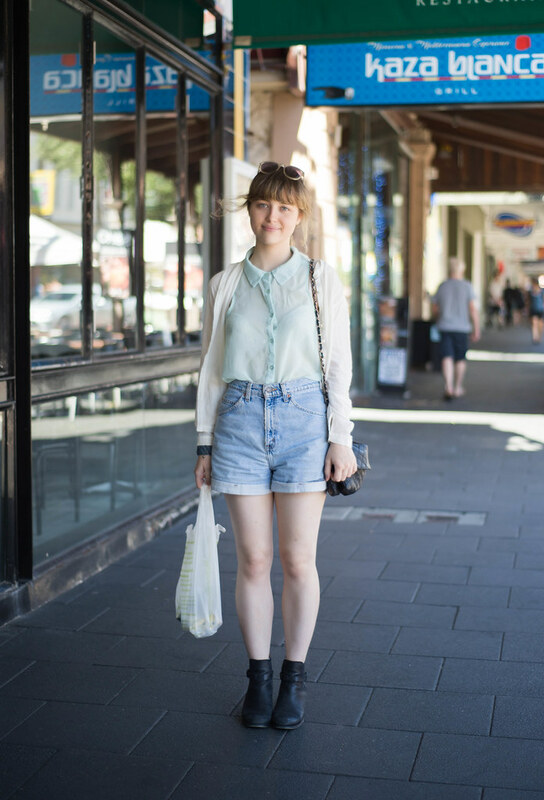 Isobel shows us how to pull off a fresh day-time look like a pro. Cute mint pastel colour - does work well with navy! The pastels work well, but the light denim is adding the illusion of bulk to her pelvis and hips. Isobel is a beautiful girl, and doesn't need to flirt with frumpy.